Scenes from the weekend. Summer Entertaining Essentials with Radiant Republic. Mint has become one of my favorite colors lately! Adore those photos! I am in love with this pattern! I wish i could do this on my walls! perfect for a bathroom and the pink flowers give the perfect touch of extra color. wow amazing work! This is great! I love mint for clothes, but never thought of it for home design before! 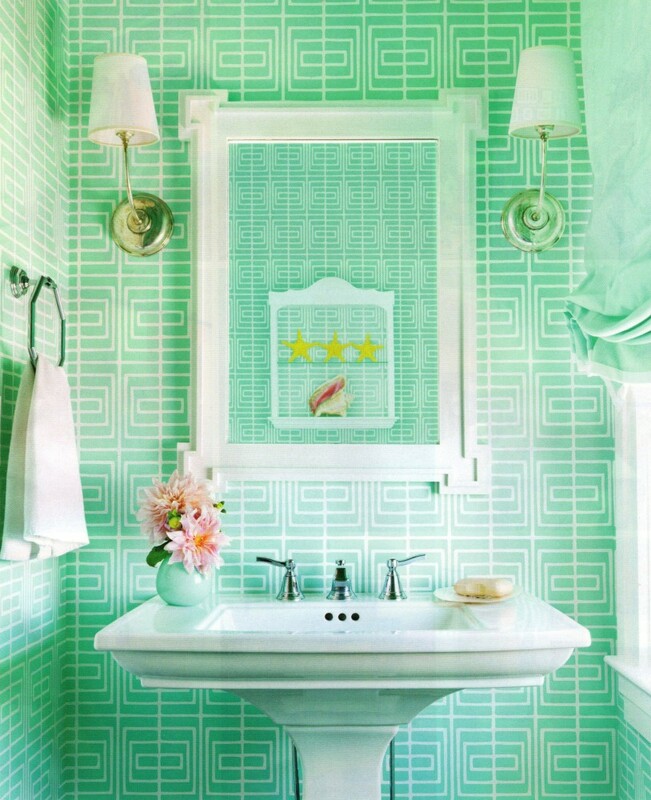 We are remodeling our powder room and painting thick mint stripes all around. I can’t wait to see it done!